The hotly anticipated crime flick “Master” features three characters, played by a trio of top stars, who are each “masterful” at what they do. 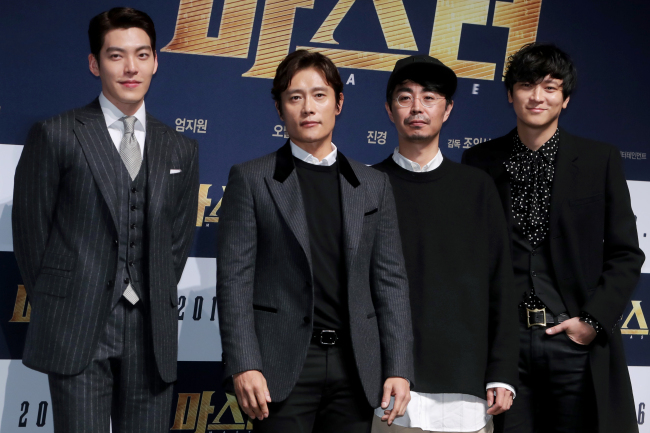 Lee Byung-hun portrays a criminal organization’s maniacal leader who dons a myriad of disguises; Kim Woo-bin is an unpredictable genius hacker and the mastermind behind the organization’s operations; and Kang Dong-won stars as the head detective of a white collar crime investigation unit who doggedly pursues elusive villains. “Things that shouldn’t happen, happen” in Korea today, according to director Jo Eui-seok, who was speaking at a press conference for the upcoming film in Seoul on Monday. 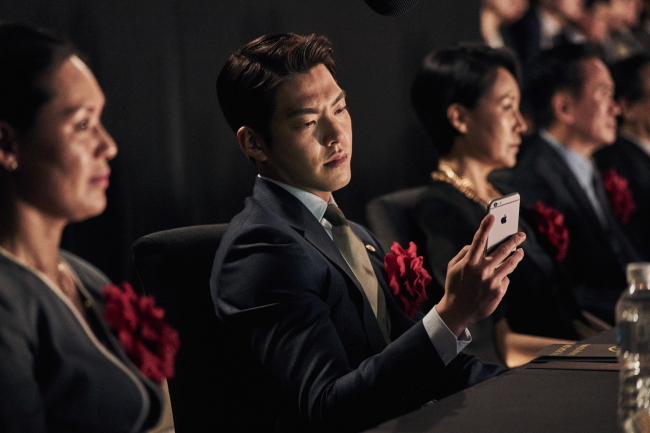 “Master” is the latest in a series of crime flicks that do not feel too far from reality, depicting the messy tangle of corrupt politicians and criminals. Last year’s “Inside Men” exposed backdoor ties between a ruthless presidential candidate, a gangster and a journalist who manipulates public opinion with his pen. 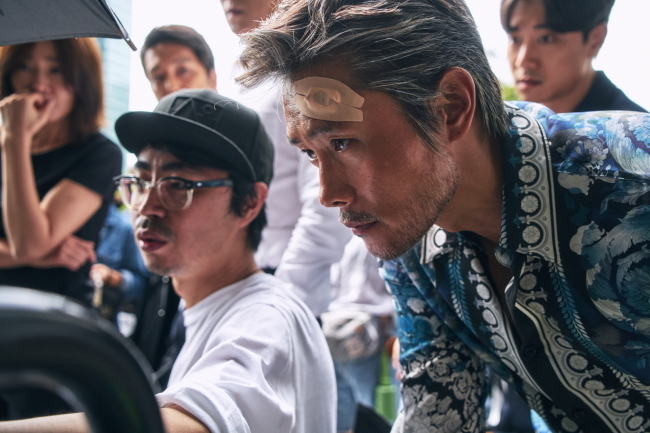 “Veteran,” also released last year, focused on a psychopathic chaebol heir who buys his way out of murder and equates “ordinary folk” with dogs. “Asura: The City of Madness,” which opened September, portrayed a demented world of power-mad politicians and corrupt cops. In “Master,” the criminals -- dubbed “One Organization” -- funnel astronomic sums of money by lobbying high-ranking public officials and through online manipulation. In an obvious reference to the ongoing political scandal involving President Park Geun-hye and her confidante Choi Soon-sil, the film’s tagline reads: “The biggest ‘gate’ since the country’s founding.” The scandal has been dubbed “Choi Soon-sil gate” here, after the Watergate scandal that rocked the US in the 1970s. Parts of the film were shot in Manila, where the Jones Bridge Highway, the city’s largest, was closed down for the shooting of a high-speed chase scene. Filming also took place in Tondo, the largest slum in Manila, which added to the movie’s atmosphere of filth and squalor, according to Lee. The actor, who recently starred in Antoine Fuqua’s “The Magnificent Seven,” is no stranger to depicting morally ambiguous characters, but this new role provided a different kind of challenge, according to Lee. Director Jo previously helmed the 2013 thriller “Cold Eyes,” which follows a special surveillance unit as it tightens in on a most-wanted criminal organization. “Master,” currently in the last stages of filming, is expected to hit theaters in December.